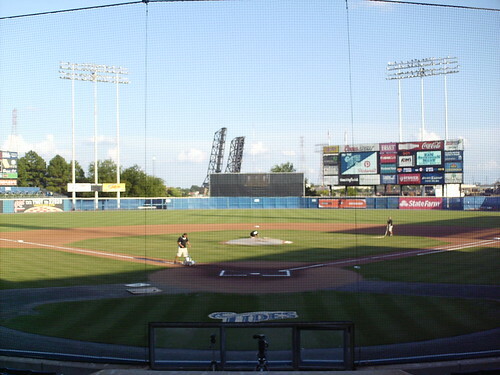 The view from behind home plate at Harbor Park, looking out at the cranes in Norfolk Harbor. 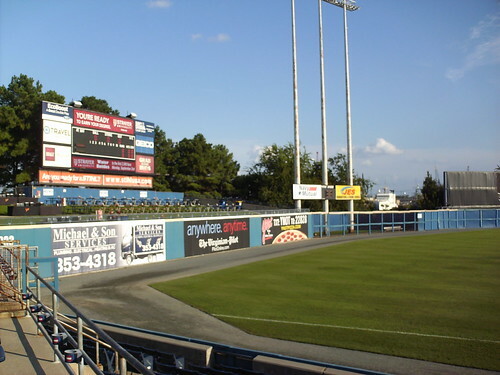 The view from down the first base line, looking out toward the line scoreboard and the picnic area. 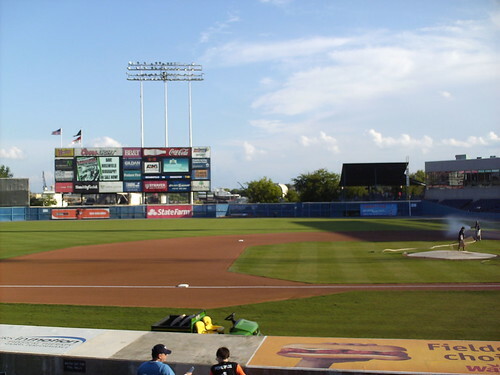 The view from down the third base line, looking out at the video board and the harbor behind it. 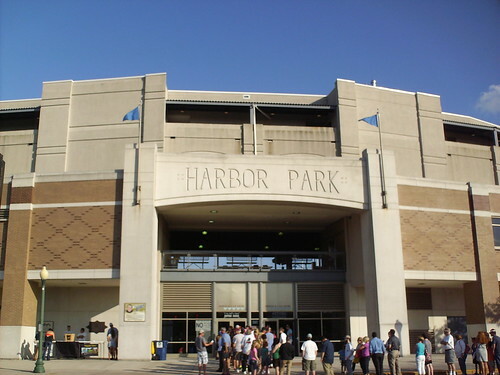 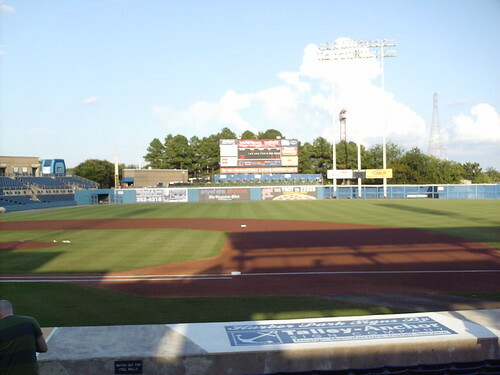 The grandstand at Harbor Park, as seen from the right field corner. 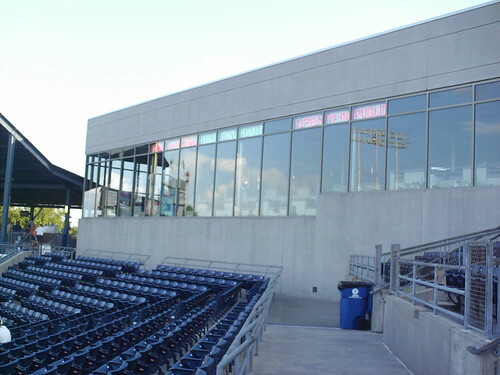 The pressbox, suite level and concourse behind home plate. 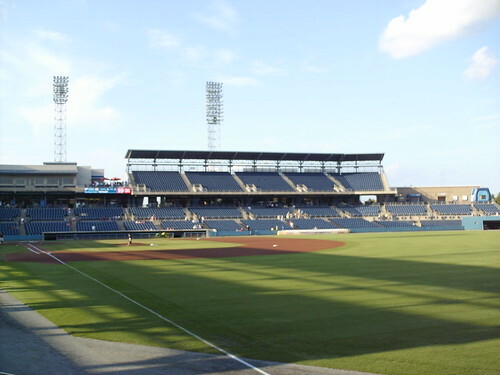 A restaurant sits in the right field corner, looking back in toward the playing field. 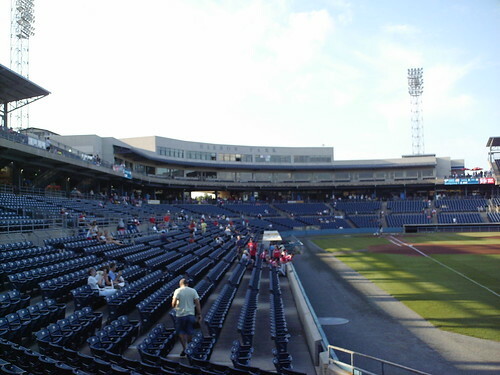 Large upper deck seating areas sit down the lines on either side of the suite level. 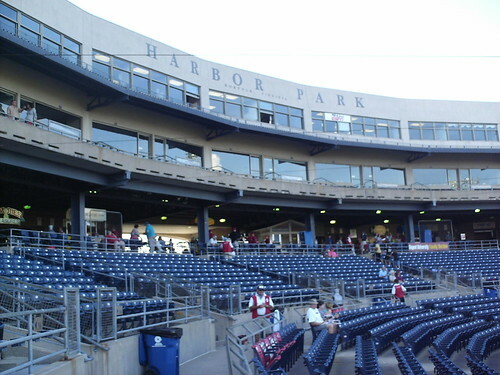 A small covered pavilion in the right field corner gives groups a good view of the game and the harbor. 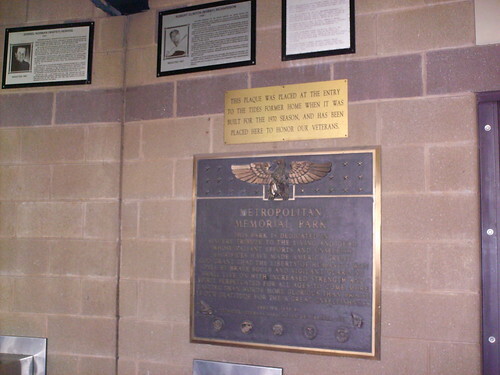 A plaque on the concourse was moved from the Tides' former home at Metropolitan Memorial Park. 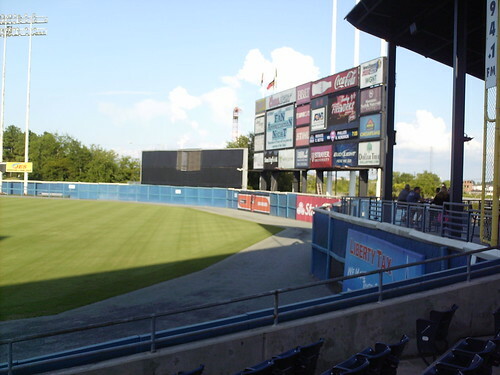 Group party seating consists of picnic tables set up on the left field berm. 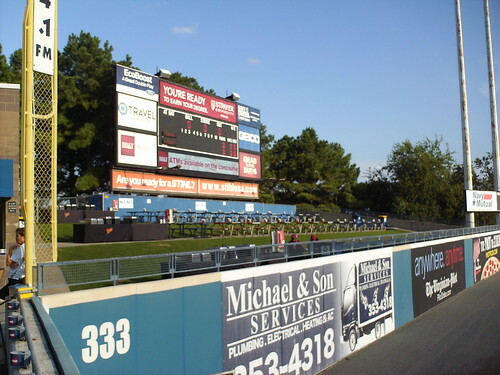 The outfield fence is made up of several wood and mesh panels in front of the bullpens, creating an irregular run in the height of the wall. 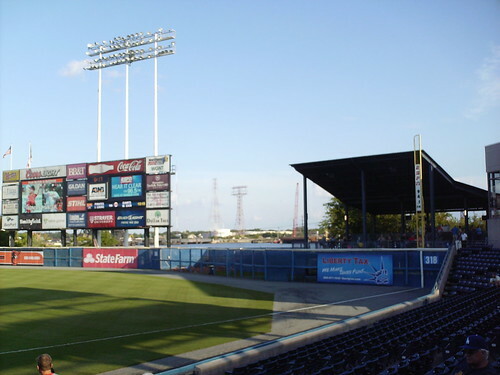 The pavilion juts into the field of play in the right field corner creating a sharp corner and a distance of only 318 feet to the right field foul pole. 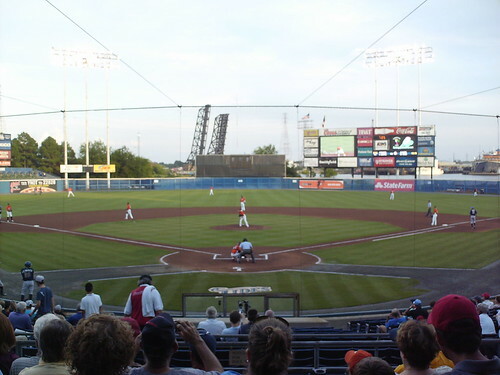 Ships in the harbor provided the backdrop for the Norfolk Tides on the field during a game at Harbor Park.